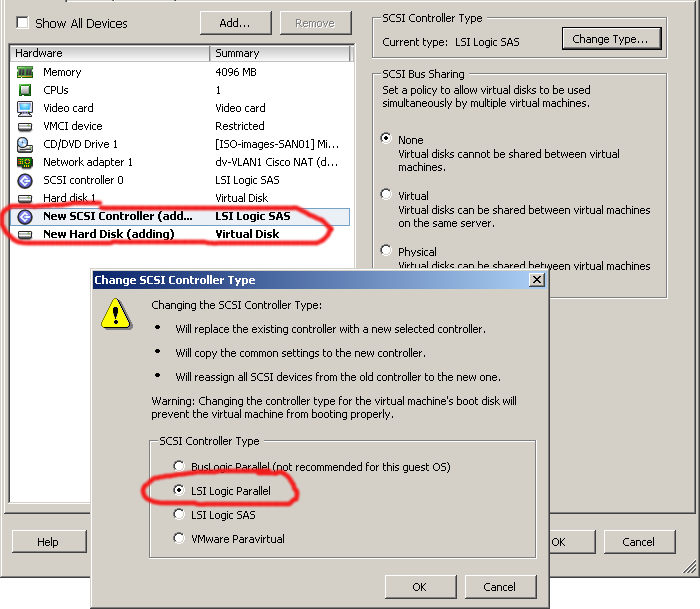 View Transfer Server supports Server 2008 R2 but does not support the use of the “default” virtual LSI Logic SAS controller. If you’ve already carved-out a cloning template using the LSI Logic SAS template, it is not necessary to create a new template (or fresh installation) just to spool-up a Transfer Server. In fact, it will take you TWO re-boots from clone completion to LSI Logic Parallel replacement. CAUTION: You must configure the virtual machine that hosts View Transfer Server with an LSI Logic Parallel SCSI controller. You cannot use a SAS or VMware paravirtual controller. 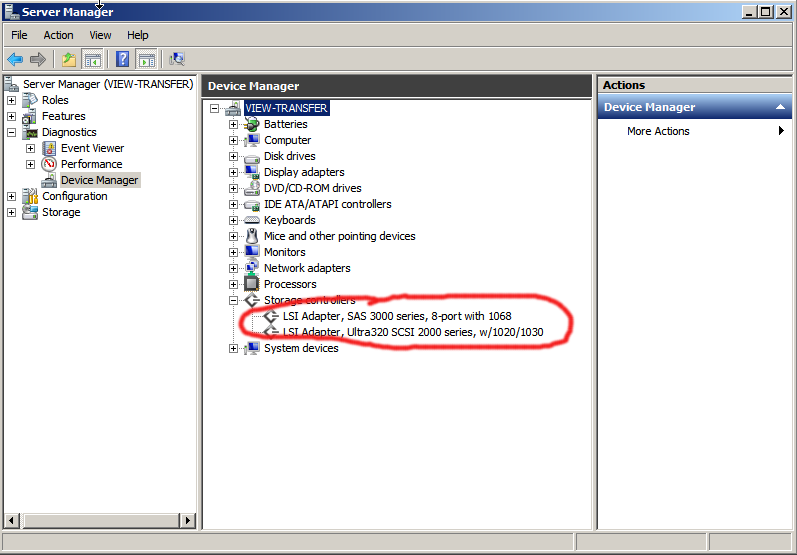 On Windows Server 2008 virtual machines, the LSI Logic SAS controller is selected by default. You must change this selection to an LSI Logic Parallel controller before you install the operating system. Dropping-in a "dummy" LSI Logic Parallel disk to enable the drive controller for View Transfer Server. Modify boot order in BIOS to insure that the SAS controller is primary. Confirming the operational status of both LSI controller types: Parallel and SAS. 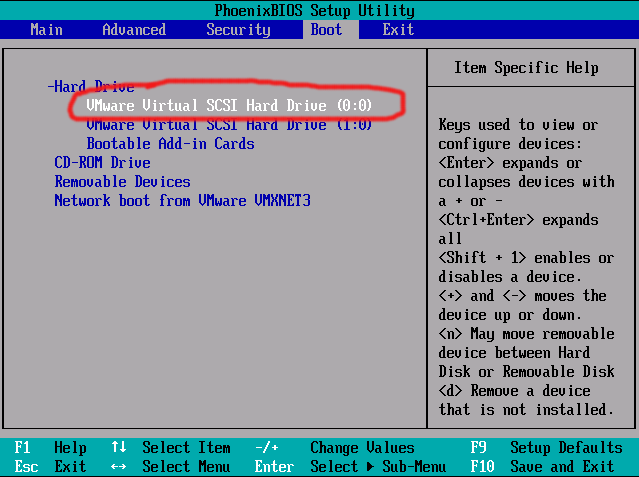 NOTE: In this example, the Server 2008/R2 VM is composed onto a single LSI Logic SAS disk (Hard Disk 1, SCSI controller 0). If your VM template is different, substitute your specific disk and/or controller numbers accordingly. Where do I find technical resources for the current version of MS SQL? I’m new to SQL I/O performance, how can I learn the basics? The basics talk about SQL 2000, but what about performance considerations due to changes in SQL 2005? How does using SQL Server 6.x versus SQL Server 7.0 and change storage I/O performance assumptions? How does TEMPDB affect storage (and memory) requirements and architecture? How does controller and disk caching affect SQL performance and data integrity? How can I use NAS for storage of SQL database in a test/lab environment? What additional considerations are necessary to implement database mirroring in SQL Server? When do SQL dirty cache pages get flushed to disk? Where can I find Microsoft’s general reference sheet on SQL I/O requirements for more information? I’ve heard that SQLIOStress has been replaced by SQLIOSim: where can I find out about SQLIOSim to evaluate my storage I/O system before application testing? How do I diagnose and detect “unreported” SQL I/O problems? How do I diagnose stuck/stalled I/O problems in SQL Server? What are Bufwait and Writelog Timeout messages in SQL Server indicating? Can I control SQL Server checkpoint behavior to avoid additional I/O during certain operations? Where can I get the SQLIO benchmark tool to assess the potential of my current configuration? 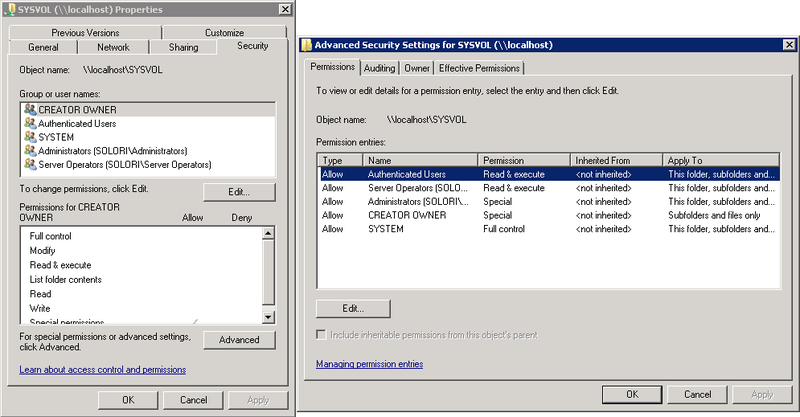 Typical user and group permissions for a local hard disk in Windows. Let’s examine the case where a domain admin group will have “Full Control” of the share, and “Everyone” will have read/execute permissions. This is a typical use case where a single share contains multiple user directories under administrative control. It’s the same configuration as local disks in a Windows environment. For our example, we’re going to mimic this setup using a CIFS share from a NexentaStor CE appliance and create the basic ACL to allow for Windows AD control. For this process to work, we need to join the NexentaStor appliance to the Active Directory Domain. The best practice is to create the machine account in AD first, assign control user/group rights (if possible) and then attempt to join. It is IMPORTANT that the host name and DNS configuration of the NexentaStor appliance match domain norms, or things will come crashing to a halt pretty quickly. This is important because the AD queries will pull service records from the configured domain name servers. If these point to an “Internet” DNS server, the AD entries may not be reflected in that server’s database and AD authentication (as well as join) will fail. 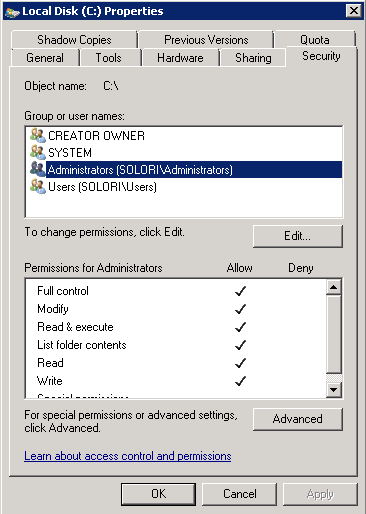 The next step is to create the machine account in AD using “Active Directory Users and Computers” administrator’s configuration tool. Find your domain folder and right-click “Computers” – select New->Computer from the menu and enter the computer name (no domain). 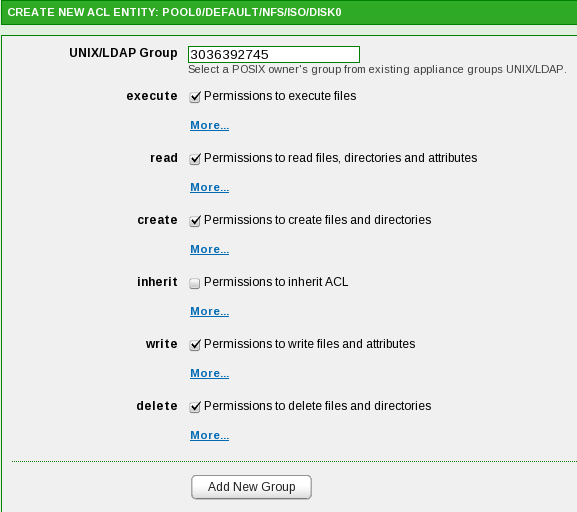 The default user group assigned to administrative control should be Domain Admins. Since this works for our example, no changes are necessary so click “OK” to complete. 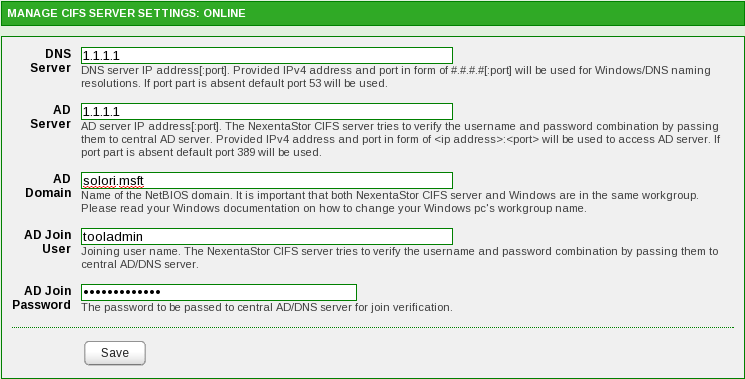 If your permissions and credentials are good, your NexentaStor appliance is not now a member of your domain. As such, it can now identify AD users and groups by unique gid and uid data created from AD. This gid and uid information will be used to create our ACLs for the CIFS share. nmc@san01:/$ idmap dump -n | grep "Domain Admins"
Applying administrative permissions with the AD group ID for Domain Admins. Applying the Domain User gid to CIFS share ACL. Note that the “Domain Users” group gets only “execute” and “read” permissions while the “Domain Admins” group gets full control – just like the local disk! Now, with CIFS sharing enabled and the ACL suited to our AD authentication, we can access the share from any domain machine provided our user is in the Domain Users or Admins group. Administrators can now create “personal” folders and assign detailed user rights just as they would do with any shared storage device. The only trick is in creating the initial ACL for the CIFS share – as about – and you’ve successfully integrated your NexentaStor appliance into your AD domain. NOTE: I’ve also noticed that, upon reboot of the appliance (i.e. after a major update of the kernel/modules) your ephemeral id mapping takes some time to populate during which time authentication failures to CIFS shares can fail. This appears to have something to do with the state of ephemeral-to-SID mapping after re-boot. You are currently browsing the archives for the Windows Server 2008 category.